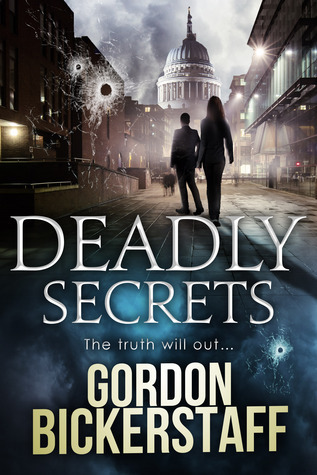 Firstly I wish to thank Sarah Hardy of Book on the Bright Side Publicity for inviting me on the Blog Tour for DEADLY SECRETS by Gordon Bickerstaff. From the opening chapter it soon becomes clear that there is something real dodgy going on with a deadly outcome. I was well and truly reeled in for the day. Gavin Shawlen isn’t your typical suave under cover investigator, he is a little nerdy and not always socially savvy but he makes for cracking reading and a bloke that I would want at my shoulder. Gavin is a Biochemist that is working on a top-secret project that is worth billions and at the moment is sitting in a tiny spec of a company surrounded by a multimillion pound industry that is willing to go to any lengths to get their hands on it. When negotiations break down for who should have the largest percentage and ultimate control of the new product the talks go from sitting round a table for a settlement to I am bigger than you tactics with deadly consequences. The anti is definitely upped as the story moves to deeper seedy goings on behind a fronted high-class business, where being in a position to buy an extension of life if possible for the right price. This is a belting story with a great divide of this industry. One where the science and discovery are the prime objective, the actual break through being the bite of the apple to the flip side where money and profit is the only aim, no matter how many casualties are crushed in the process. The pace of the story escalates into a frenzy of intense chapters that just made me drool. I really want to read more about Gavin and where the next book will take him. Brilliant!